La Vie Artistique Magazine: Being "Mused"
Being an audiophile, music fills my day. From the moment I awake, until the moment I go to sleep, there is always music in the background. It whispers gently in my ears, keeping me centered and inspired, as I engage in activities throughout the day. Research has shown that music has a profound effect on your body and psyche. In fact, there’s a growing field of health care known as music therapy, which uses music to heal. Those who practice music therapy are finding benefits in using music to help cancer patients and children with ADD/ADHD. Hospitals are beginning to use music and music therapy to help with pain management, depression and physical therapy. This is not surprising, as music affects the body and mind in powerful ways. 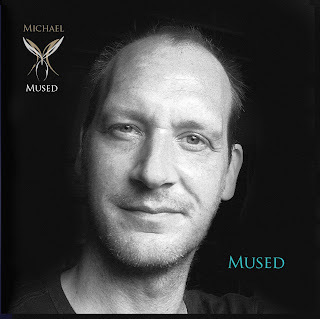 Recently, I had the opportunity to listen to Mused, by Dutch recording artist, Michael Mused. Mused is a unique and refreshing blend of dance, reggae, ambient and world music. The reggae melody of Peace and Love makes you feel like you’re in Jamaica and the Caribbean sun is gently kissing your skin, as you sip a tropical delight at a beachside resort. The exotic Philomena takes you to the Red City, Marrakech, strolling the bustling souks, filled with spice vendors, storytellers and belly dancers. The perfect way to travel - you never have to leave home! With stress levels rising, Mused is much needed escapism and therapy. Mused may be purchased via Amazon.com, iTunes and http://michael.mmused.com/.